There are two types of places I enjoy visiting in my urban travels — aquariums and libraries. I love libraries because of their architecture, the thousands of wonderful books, and I find the quality of a library tells me a lot about the values of a city’s citizens and government. I like to visit aquariums because they’re so much fun! Where else for a few bucks can you be transported to a different world? I can easily lose myself for most of a day in a good aquarium. Jo’burg (aka Jozi) is South Africa’s corporate capitol and a megapolis of at least 7 million. Like many enormous cities, there are islands of beauty and grand architecture, but to a large extent this is a dirty and uninspiring travel destination. Of all our stops in Southern Africa, this was my least favorite in part because I’m not a big fan of sprawling mega-cities. 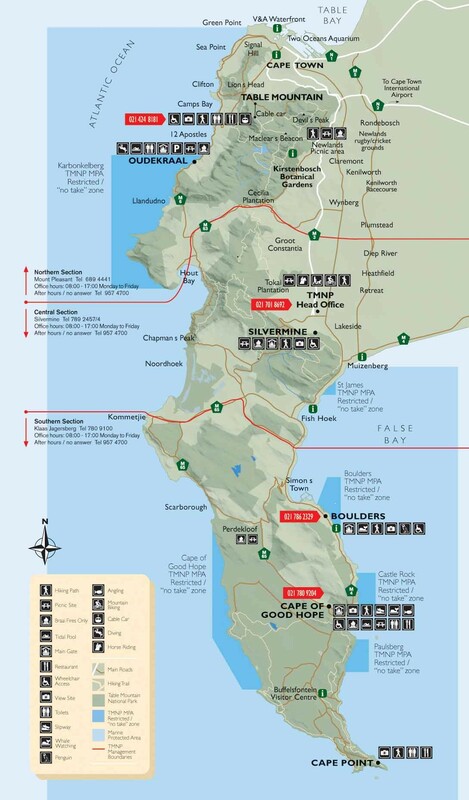 There are many day trips you can take from Cape Town, one of the of the best being a drive down the Cape Point Peninsula to it’s tip. The day will provide you with beautiful scenery, wonderful beaches, small harbor towns, dramatic cliffs, a lighthouse, ostriches, and brilliantly colorful protea. Perhaps the greatest fun of the day is to visit the colony of African penguins that live on the Peninsula.